The Common Application makes college admissions easier. 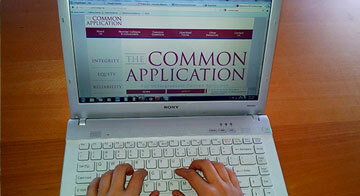 Over 800,000 students use the Common Application to apply to more than 500 schools. Rising high school seniors have to be ready for the changes to the 2015-2016 application, including some new essay prompts. Are you ready for the new Common App? The biggest change to the Common App is in the essay prompts. Counselors nationwide suggested revisions to a few of the existing prompts, which were adopted, and one essay prompt was altogether replaced. In other news, some students will be ecstatic to learn that colleges may now elect to make the essay optional. Other changes to the application are more administrative. You can now review your progress on the application at any point, whereas previously you had to wait until you completed the entire application before reviewing. One thing stays the same this year: the application will be released on August 1. You can read about all the changes to the application here. Have you checked to see if the colleges that you're interested in accept the Common App? We would love to hear your comments below.